Sewickley Gallery & Frame Shop will be hosting accomplished pastel artist, Christine Swann, for the Fall Weekend of Art! 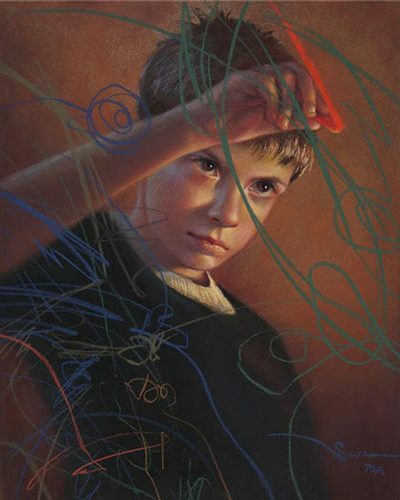 Christine is currently the President of the Pittsburgh Pastel Artists League and a longtime member of the Pittsburgh Society of Illustrators and the Portrait Society of Illustrators and the Portrait Society of America. She will be outside the Sewickley Gallery sketching her latest portrait for all pastel enthusiasts and passersby to observe. Christine Swann’s Street Sketching will take place THIS WEEKEND on September 29th, from 12-3PM. Southwest Art Magazine selected Christine Swann as an “Artist To Watch” in the June 2015 issue of the magazine. 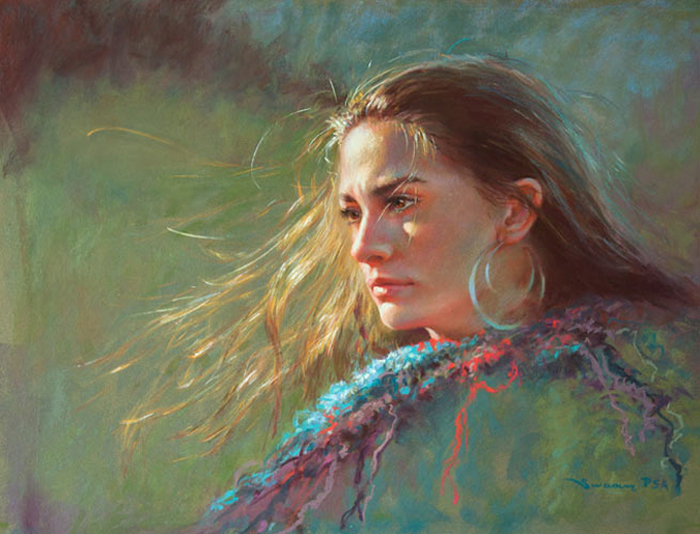 Known for her “personality portraits” she started as an illustrator and is now an award-winning artist on the international level, including winning the 2015 Best of Show “Prix de Pastel” Masters Circle Exhibition award and the 2013 Gold Medal at the IAPS (International Association of Pastel Societies) Conventions. She won the PSA Award in 2013 in honor of Flora B Guffuni at the Pastel Society of America’s International Exhibition in New York where she has been part of this prestigious exhibition eight times. 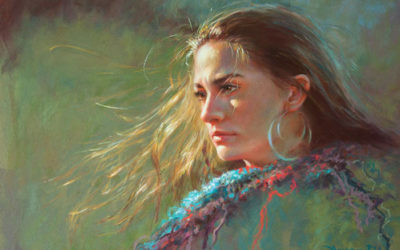 Christine has won “Outstanding Pastel” in the BoldBrush Competition for four years in a row. Her work has received 5th place Portrait Society of America Member’s Competition in 2015 and as a finalist this year. The French Magazine, “Pratique des Arts” has showcased her portraits in three recent feature articles, and included her work in the French book, “40 Pastel Masters” under the chapter on “Masters of Composition.” The Pastel Journal featured her work in the 2016 October issue with an 8-page article, “Powering Up” and recent article, “Do You Suffer from PPS?